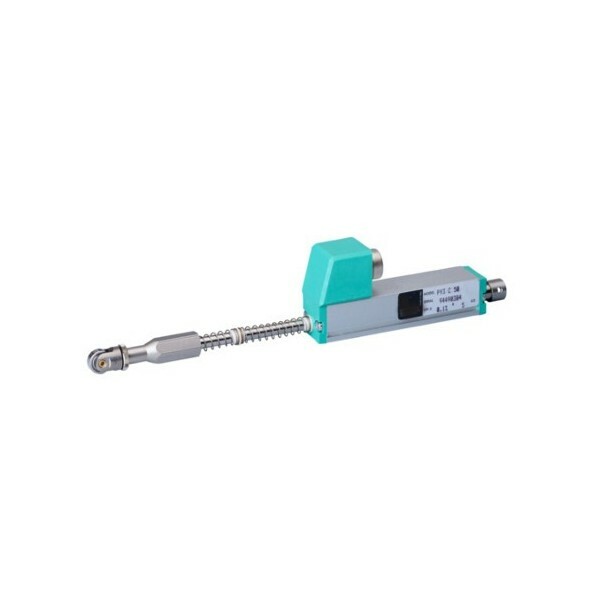 PY3 : Linear position sensor with return spring from 0 to 10, ..., 50 mm. Measuring range from 0 to 10, 25, 50 mm. Double support of the control rod and return spring. Tip with M2.5 thread and stainless steel precision bearing. Independent linearity up to ± 0.1%. The side connection creates a through-rod structure with double rod support, guaranteeing greater overall strength of the transducer. The return spring automatically returns the rod to zero position, making the transducer suitable for comparator applications. The tip with roller bearing is suitable for applications where the object to be measured may be subject to shifts transverse to the transducer axle (shaft is prevented from rotating). 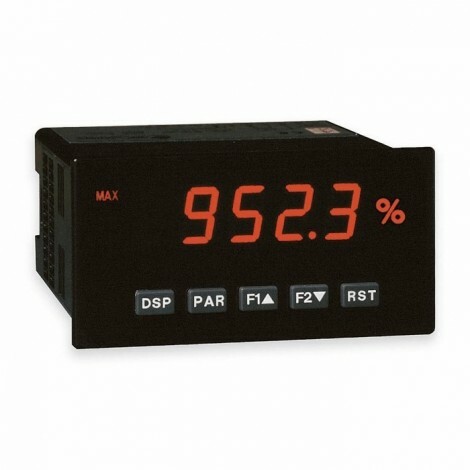 Ideal for checking the flatness or thickness of panels of various materials. 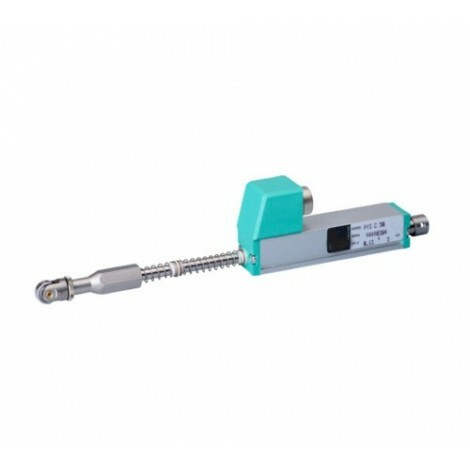 Can also be used for valves or mechanical parts when the rod cannot be attached to the moving object.